Simmons Hippo Outpost | Dallas ZooHoo! 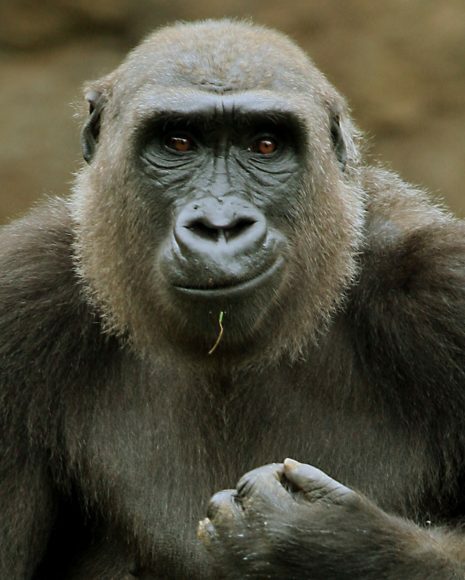 Adhama’s sudden passing has shaken the Dallas Zoo family. 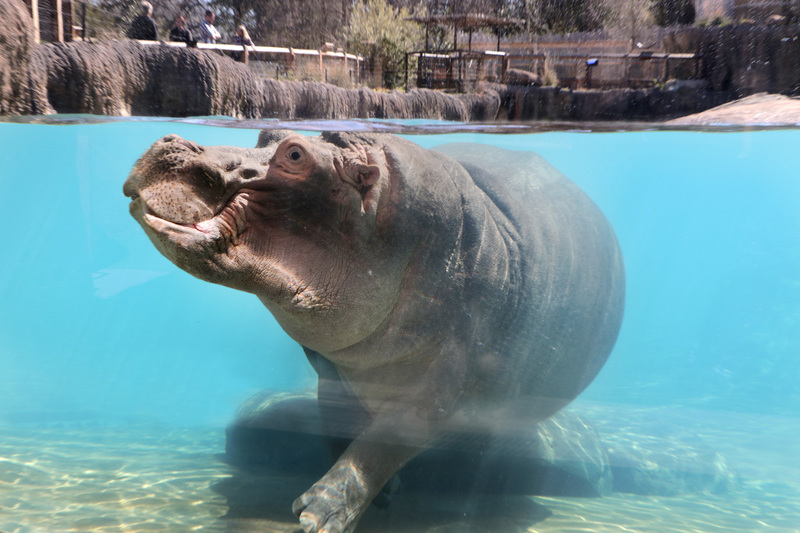 Dallas Zoo is saddened to announce that 7-year-old male hippo Adhama passed away suddenly on Tuesday evening. The hippo keepers and our veterinary team had been monitoring Adhama’s health since late last week, after observing some lethargy and a diminished appetite. Adhama spent Monday and Tuesday behind the scenes under observation and resting, but there was nothing to indicate a serious issue. After hours on Tuesday evening, keepers observed via closed-circuit video that Adhama seemed to be non-responsive, and our animal care team responded immediately. Unfortunately, the team found that he had passed away suddenly with no external signs of stress or trauma. Preliminary findings from the veterinary team indicate severe enteritis, which is an acute inflammation of the intestine. According to the veterinary team, given the condition of Adhama’s organs and his fat reserves, this does not appear to have been a long-term illness. The team is continuing to study the situation to learn more, but given the lack of significant symptoms, the team is confident there’s nothing they would have done differently. 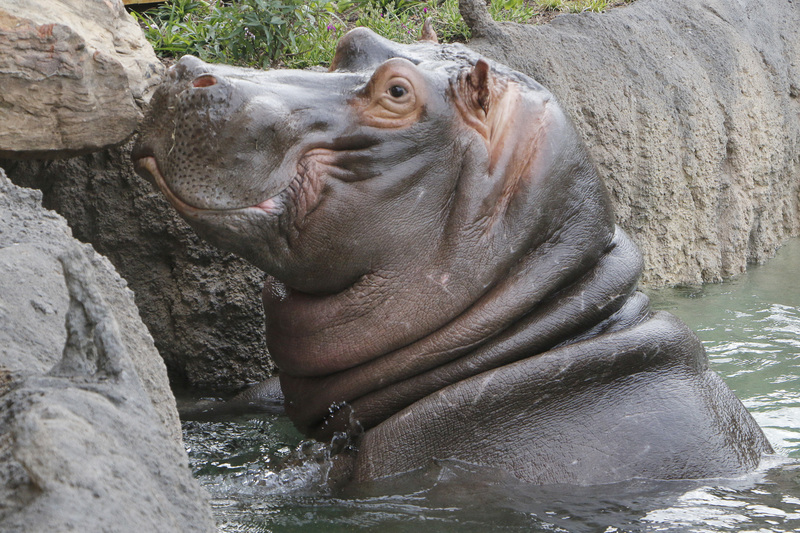 Adhama arrived at the Dallas Zoo in 2017, when we opened the Simmons Hippo Outpost. 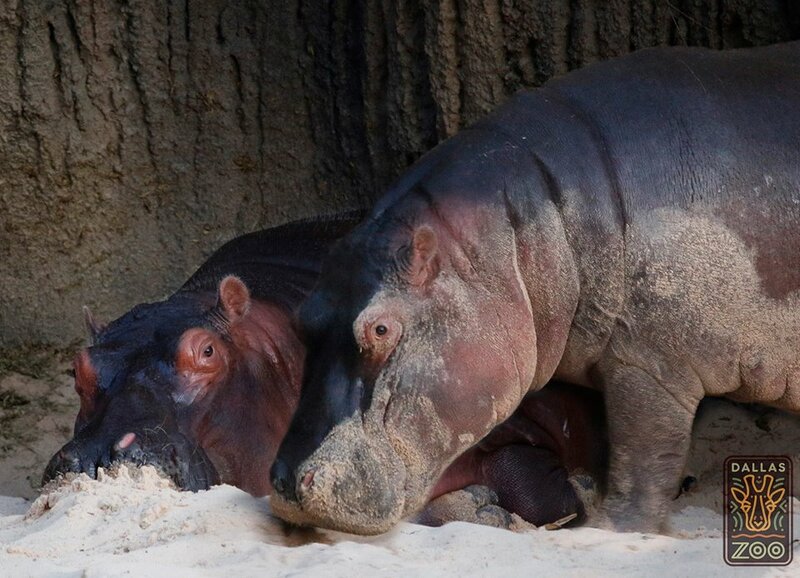 Adhama and Boipelo came to the Dallas Zoo in March 2017 (from the Los Angeles Zoo and Botanical Gardens and Albuquerque Zoo, respectively), ahead of the opening of the Zoo’s Simmons Hippo Outpost in April. These two hippos were matched on a breeding recommendation through the Association of Zoos and Aquariums’ Species Survival Plan. Boipelo gave birth to a calf in February 2018, but the calf did not survive. The hippo keepers report that Boipelo is subdued in the initial hours since Adhama’s passing. The team is focused on ensuring she is maintaining as much of a routine as possible in spite of the loss of her mate. She will be given access to the habitat starting today, but the Zoo staff will follow her lead on her day-to-day availability. The Zoo will continue to provide updates as more information is available. 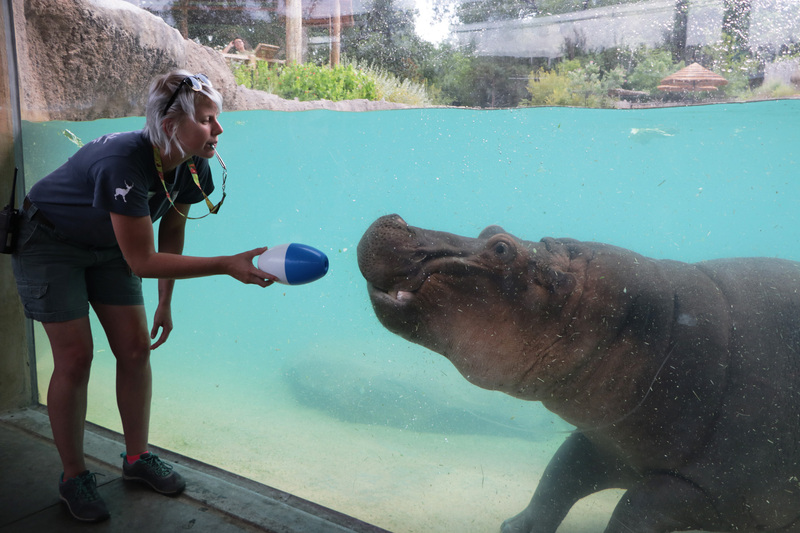 Our hippos, Boipelo and Adhama, love to show off their skills during keeper chats! 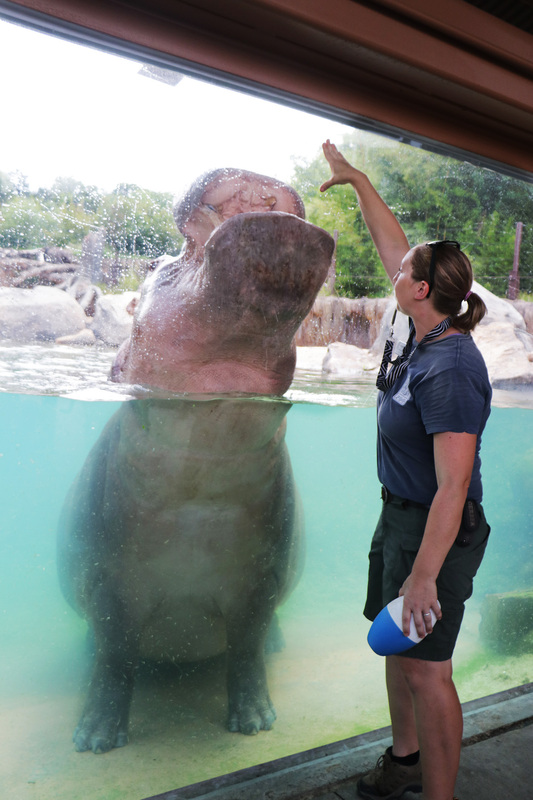 Dallas Zoo Hippo Keepers Christina E. and Christine S. guest blog on ZooHoo! We train almost every animal that calls the Zoo home. Training lets animals participate in their own care and enables staff to provide excellent animal husbandry. It can be something as simple as teaching the animal to shift from one space to another. Or as complex as training the animal to allow ultrasounds. Animals, like the hippos, can be asked to present certain body parts to keepers to facilitate routine checkups, or to open their mouths for teeth examinations and x-rays. To do this we use operant conditioning, focusing on positive reinforcement techniques. This means if the animal does the behavior we ask, they are rewarded. A reinforcement or reward can be anything the animal enjoys. Food is the most common reinforcer, but some animals prefer attention, tactile reinforcement, or their favorite enrichment item. and Adhama during a recent training session. At the Simmons Hippo Outpost, our hippos LOVE to show off trained behaviors that they have learned over the last year. During our keeper interactions, you may have seen Adhama and Boipelo opening their mouths to present their teeth, swimming across the pool, or targeting. Targeting is one of the first behaviors most animals learn because it is a good starting tool that leads to more complex behaviors. Adhama and Boipelo are asked to touch their noses to the end of the target. Their target stick is a long bamboo pole with a buoy on the end that’s lightweight and floats, making it ideal for our hippos. This behavior is typically easy to teach. Most animals are curious by nature, so when the target is first presented they want to examine it and come closer. After they take that first step towards it, they’re rewarded. They continue to be rewarded the closer they get until finally touching the target. Once the animal learns that touching this target gets them a reward, it becomes one of their favorite behaviors. Keeper Christine S. works with Boipelo on target training. We recently started training some behaviors at our underwater viewing area, which brings Adhama and Boipelo so close that you just might think you’re in the water with them. Boipelo is a pro at targeting underwater, while Adhama prefers to stay above the surface at the moment. Boipelo tends to be shyer in front of crowds and lets her boyfriend shine. Adhama definitely likes to monopolize the spotlight and will do some targeting, opening his mouth, and moving back and forth across the window. In Greek, Hippopotamus means “river horse,” and they do look like graceful horses trotting in slow motion underwater. However, don’t let this fool you! Hippos are actually closest related to whales and dolphins. With this up-close view you can really examine them to see some of the similarities they have with their relatives. The training at the underwater viewing area is still in the early stages, but the hippos and trainers are enjoying this new level of interaction. Come by Simmons Hippo Outpost to see Adhama and Boipelo in action! Adhama and Boipelo in their Simmons Hippo Outpost habitat. We are heartbroken to share the news that our female hippo Boipelo gave birth behind the scenes to a hippo calf early Saturday morning; unfortunately, the calf did not survive. Because this was Boipelo’s first pregnancy and we could not predict how she would react to the birth and baby, we had been cautious and had not shared the news of the impending birth with all of you. But just as we like to share our good news, we wanted you to have a chance to grieve with us, as well. Our keepers had been monitoring closed circuit cameras 24/7 over the last few months while on birth watch, and we were even able to capture several sonogram images recently, making us one of the only zoos in the country to have done this successfully. We had been anticipating the baby hippo’s arrival and were looking forward to announcing and having the new family debut when we reopen our Simmons Hippo Outpost in a few weeks. Our hippo team is understandably upset but are focusing on Boipelo to help her through this difficult time. She is healthy following the birth, and our keepers and veterinary team will keep an eye on her to make sure she’s recovering well. It’s a tough day for our entire Zoo family. Our hearts are heavy, but we so appreciate your support and well-wishes. It’s Saturday, the sun is shining, and you’ve watched everything in your Netflix queue. 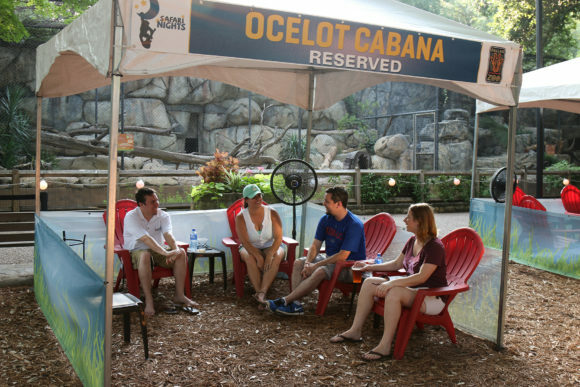 Whether you’re ready to spend the day with your crew or going on a date, the Zoo’s got you covered. We’ve listed 10 suggestions for having the best Saturday ever with us and over 2,000 animals. So change out of those PJs, and head outside to experience the Zoo like never before! We have the cutest baby animals ever (okay fine, we may be a tad biased). 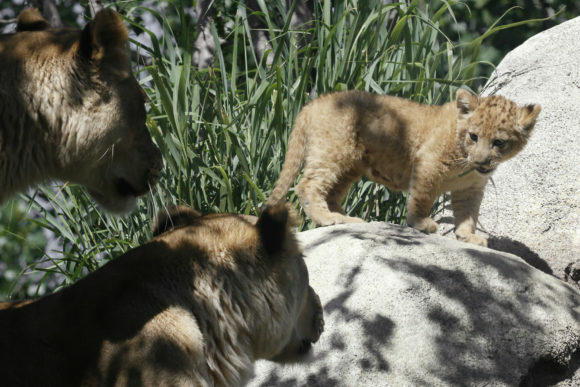 Have you met our little lioness Bahati? Head over to the lion exhibit first thing in the morning, and you might see her exploring. Believe us, she’s more entertaining than any internet cat video. Sign up for a behind-the-scenes tour filled with up close encounters to make any animal lover swoon. 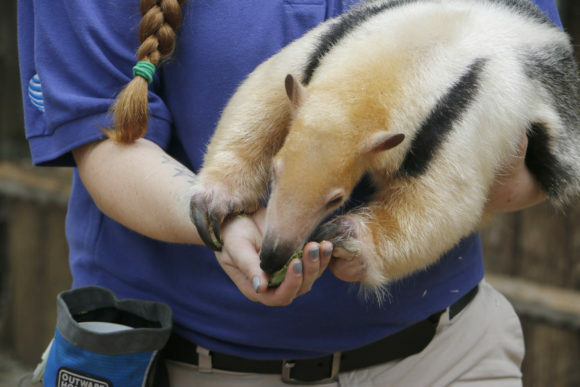 This 90-minute tour lets you feed an elephant and a penguin as well as interact with some of our dynamic animal ambassadors (yes – that tamandua does like avocado as much as you!). All proceeds from Backstage Safaris go directly to our wildlife conservation efforts, helping to protect species and restore habitats around the world. Win-win! Have you ever touched a giraffe? We know some people with a bunch of lettuce and kale that can make that happen. 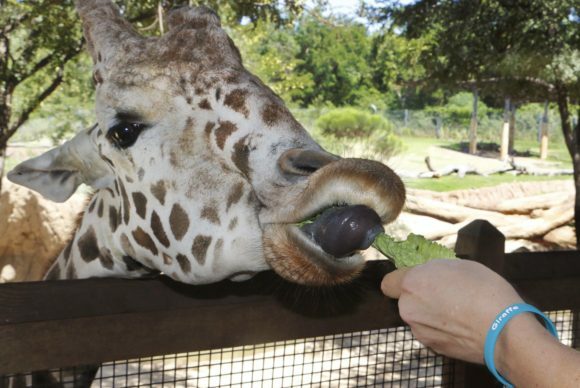 You may even get a lick from Tebogo. 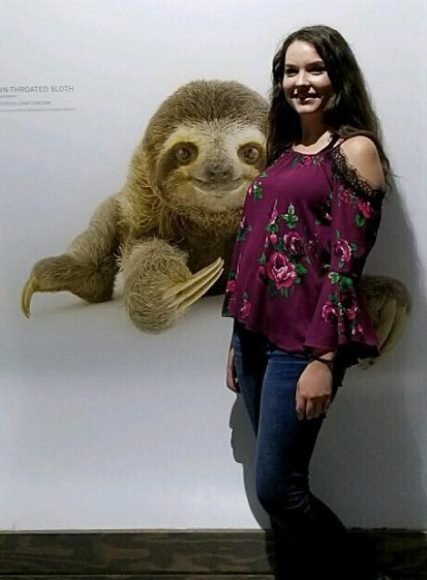 #Goals. Take a rest. 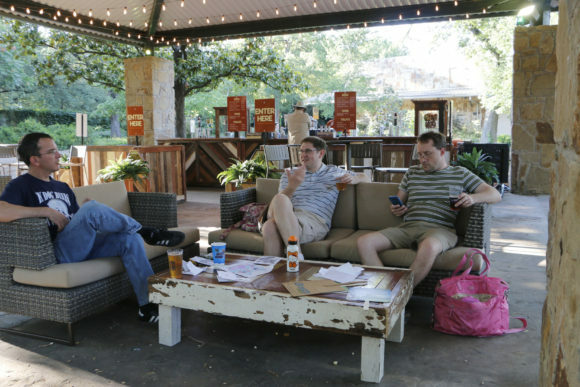 We’re the largest zoological park in Texas, and that means lots of walking. 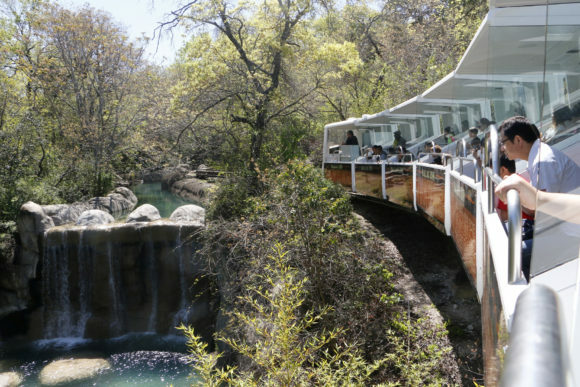 Grab a seat on our newly renovated Adventure Safari monorail, and travel on a one-mile loop that takes you to five African habitats you can’t see by foot. In addition to bird’s-eye animal views, you’ll also get a few glimpses of the Dallas skyline. If you haven’t met our new hippos Adhama and Boipelo, you’re missing out. Check out a keeper chat at 11:15 a.m. or 2:30 p.m., and you might even see them in action during a training session. Trust us – you’ll wanna ‘Gram it when their mouths are hope wide or they wiggle their ears. Not to mention, the underwater viewing window will bring you face-to-snout with these barrel-rolling hams – have your camera ready! 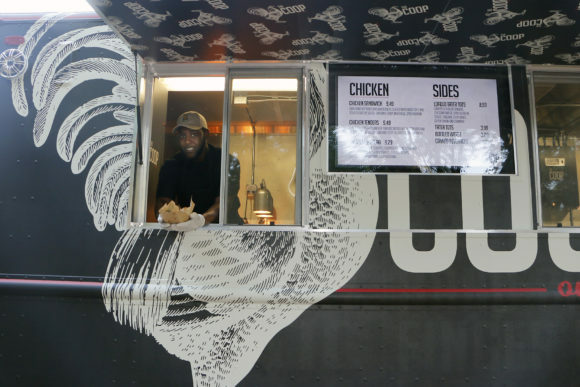 Our new Coop on the Fly food truck is serving up some serious down-home, fried goodness, and you don’t want to miss out on chicken fingers and tater tots. If that isn’t enough, we’ve got cold beer on tap from 10:30 a.m.-5:30 p.m. at locations near the flamingo pond in ZooNorth and by the monorail station in the Wilds of Africa, as well as the craft beer garden and brand new lounge on Cat Green. So sit back, relax, and have a sip of local flavor or a classic favorite. 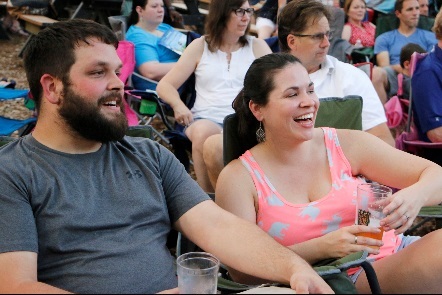 Safari Nights Powered by Breeze Energy means live music at sundown on shady Cat Green – you bring the lawn chair, we’ll bring the tunes. This Saturday at 7 p.m., we’ve got The O’s playing some catchy, acoustic pop tunes that anyone can dance to – don’t worry, the animals won’t judge! Concerts are every Saturday through July 15. It’s Texas, and it’s hot! Avoid the back sweat, and spend a steamy summer night chilling out with your crew in one of our reservable cabanas, complete with chairs, fans, and water during Safari Nights! And the very best part is that your adventure helps support conservation efforts around the world! That’s right, a portion of your admission goes to our conservation partners in order to save wildlife and protect the environment. So, have some fun and do some good this Saturday!